Today is opening day at Fenway Park. It is cold and rainy outside. You know why I love New England? Because no matter the weather, people will be at the park early to purchase their sausages piled high with onions and peppers. The stands will be full, as they always are. The fans will sing along to Tessie and Sweet Caroline. I just love living here. I grew up in the South. I graduated from the University of Florida and have lived in New England for the last 22 (update: now 29) years of my life, after a few other southern stops. As soon as I arrived, I knew I had finally come “home”. I found a place that matched my driving and my dreams. When I was a child, my mother read me a book with the most amazing pictures of children building snowmen..of white steeple churches, pumpkin patches and beautiful, colorful leaves. I wondered where such a wondrous place might be! Was it real? Then I found it. It is real. I saw my very first snowflake in the Carolinas while on my honeymoon and I’ve loved snow ever since. I still love it! There is nothing more peaceful and beautiful than a snowfall. There is also nowhere else in the world I know of where I can look outside at the park across the street from my house and watch the girls’ high school tennis team shovel snow off the courts. I played tennis in high school and never was there such fun. We just sweat a lot – all the time. Here in New England my mind can’t easily get lazy. I returned early this morning after dropping my husband off at Logan. I went through the “fast lane” into the Sumner Tunnel. Approximately ten lanes converged into one. (update: Thanks America – for the Big Dig which helped alleviate this situation.) It was “cut throat” and you had to stay sharp to live. Compare that to the challenge of my last trip down south. I slowly meandered through back roads, searching to find any roadside stand that sold boiled peanuts. I turned back onto the highway (of course blocking a lane to make my left turn…how else do you do it?) and realized from others’ looks I would likely be locked up if I did that again. In New England what you see is what you get. There is no fluff – except fluffr’nutter sandwiches (peanut butter and marshmallow fluff) – which were new to me upon my arrival. Here, if someone doesn’t like something you say or do they won’t politely smile and say “why thank you darlin'” and then talk about you to someone else. Just yesterday I was in line at a fast food place on the Mass Pike and the guy in front of me was given the wrong order. When he (the customer) mentioned it the person “waiting” on him said, “Buddy, that’s not my problem.” See, here you just get what is really on one’s mind, unfiltered. In my hometown I grew up attending almost every home University of Florida football game. (Steve Spurrier was the quarterback then.) It was a great experience and I was a devoted fan. Often, I came home sunburned. Several years ago my husband and son sat through a blizzard watching the Pats beat Oakland. They came home with no feeling in their arms or legs, but it was a “wicked awesome” experience. No comparison. So today, as I drove home from a morning appointment in the cold and rain I was grateful for all the many blessings I have living here, but still wishing I could be sitting at Fenway Park about now. I think we play the Orioles. Doesn’t matter…I know the main chant will be about the Yankees. But I can’t go. I’ll need to help pump the water from the snow melt out of the basement. Somewhere along the way, I have become a New Englander… and I really do love it. 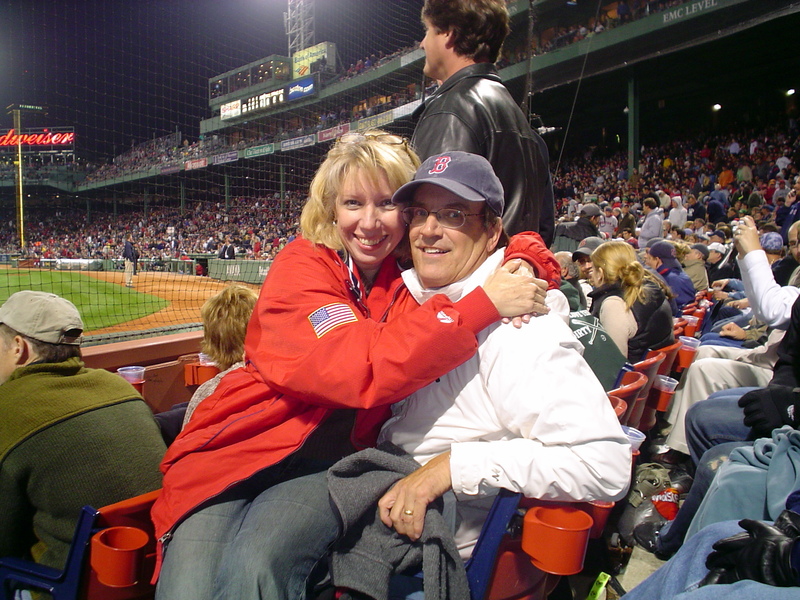 This entry was posted in devotional thoughts and tagged baseball, New England, opening day, Red Sox by jeanieshaw. Bookmark the permalink.